seebee wrote: Ok, all good. That Downtown Market website got me thinking we could get a bowl of Pho, some q, some sushi and share it all in one place right off the highway. Of course, I was assuming it would be good. The BBQ place actually didn't look too bad. I didn't try it. That one is more of a stand alone restaurant in the same building as the main food court. For a quick "hit and run", your plan could work. seebee wrote: Will be driving through GR on my way to Cadillac, right around dinner time on Friday night. Anything decent not too far from an expressway? A single visit to Grand Rapids hardly makes me an authority, but two major strengths are beer and Bosnian. For a city of its size, Grand Rapids has an amazingly rich beer culture. Some of the highlights are discussed in previous posts. I love Brewery Vivant, both for the beer and the space. 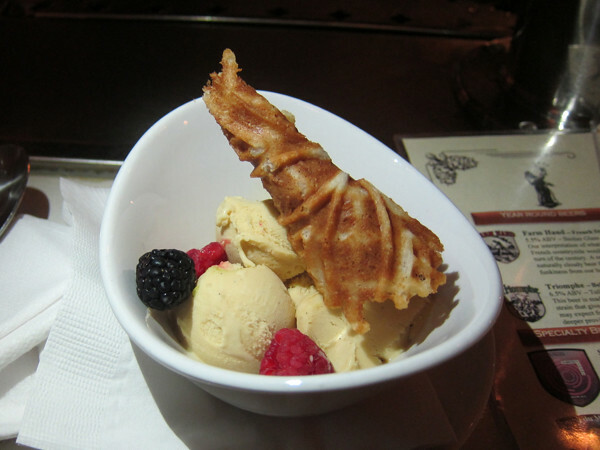 The bowl of duck fat ice cream I sampled suggests it could be a worthwhile place to eat as well as drink. Grand Rapids has one of the largest Bosnian populations in the US. You're undoubtedly jonesin' for more Eastern European chow (loved your Czech Plaza post) so this could be right up your alley! 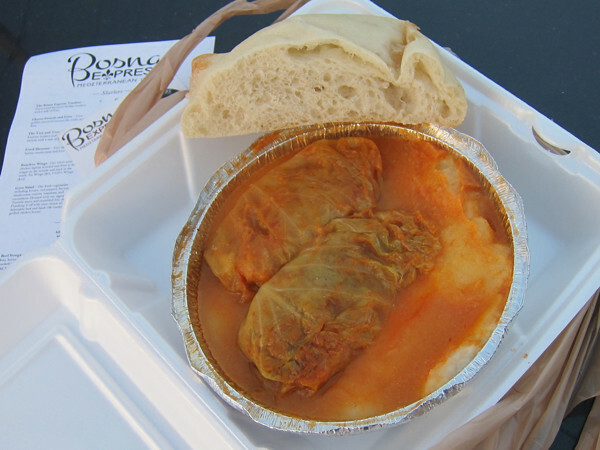 I enjoyed the stuffed cabbage at Bosna Express (128 28th St SW). These sarma are made with somewhat-uncommon sour cabbage leaves from whole heads that the owner ferments every year. We got it to go because it was near closing time, but the wood-panelled room is pleasant and their beer list extensive. Not many places you can dine on pljeskavica, then go next door to purchase a parrot. Lots more Bosnian to explore. 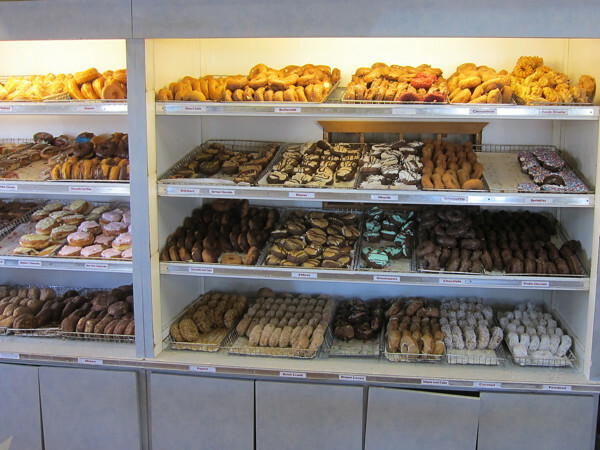 JoelF wrote: Three words: "Ham + Doughnuts" -- don't skip that. 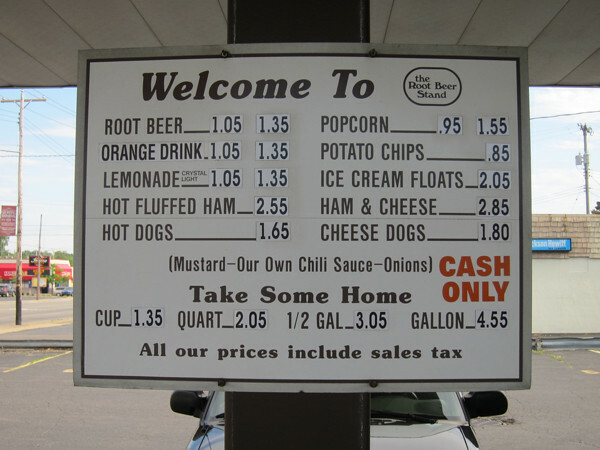 Speaking of ham + donuts… If you go via Kalamazoo, DO NOT MISS the hot fluffed ham at The Root Beer Stand. 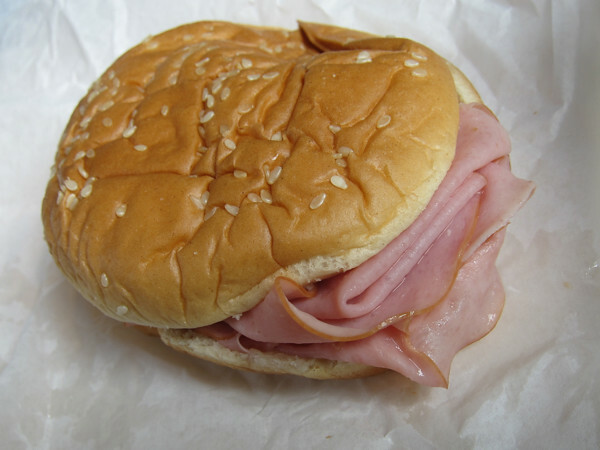 Just kidding; aside from the name it's a thoroughly ordinary ham sandwich. On the other hand, donuts at Sweetwater's Donut Mill in Kalamazoo are truly worth a detour (and I'm usually not very enthusiastic about donuts). I'm guessing they may have cider donuts right about now. 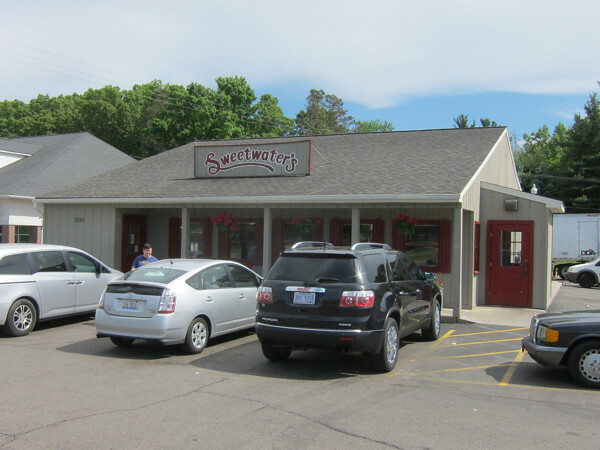 Kalamazoo has two Sweetwater stores, and Battle Creek has one. Thanks for the replies. Didn't work out as planned. The wife DEFINITELY wants to check out Downtown Market whenever we're in the area again. We got a tiny bit of a late start, so we knew we'd be cutting it close, but, Friday traffic, and construction around the bend, and we passed GR right around 7:30pm, and a lot of the food options close at 7. Let me tell you how hungry we were. We stopped at a gas station / Arby's combo. After potty and a fill up, we kind of laughed and said, "Arby's?" Went for it. Let me tell you something - Fried Cajun Turkey sammich and a curly fry hit the MF spot that night. 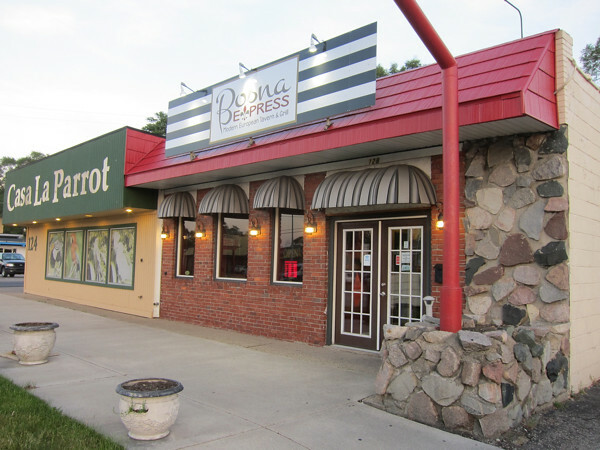 We actually would have hit the Downtown Mkt on the way back, (again, the wife is wanting to see this place,) but the inlaws audibled us into a meal somewhere around Cadillac right before our departure - standard diner fare, nothing to write home about.